If you enjoy group activities, such as mah jong, jogging or bowling, look for a listing of ongoing activities at one of our next meetings. Sign up for walking and other outdoor activities, or perhaps start your own group? Most groups meet weekly, are informal, and most are free of charge. (Some activities may require a nominal fee, e.g. fitness instructor, or personal expense, etc. ) 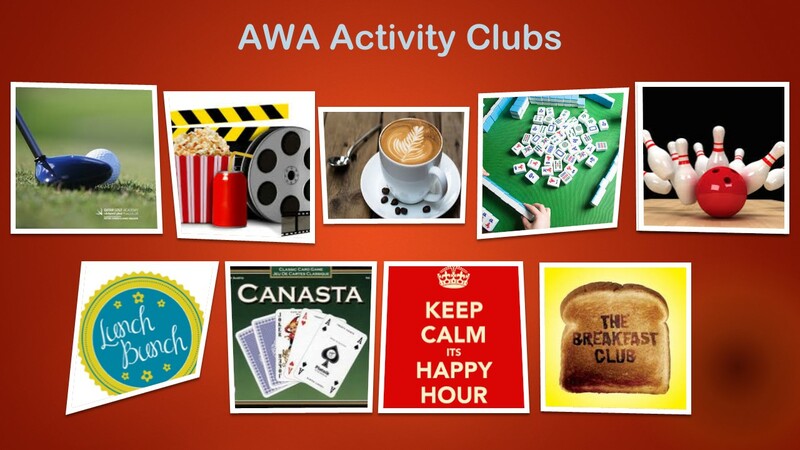 Activities are open to all AWAQ members. Ideas for new activities are always welcome! Please send us your ideas or questions via our contact form.